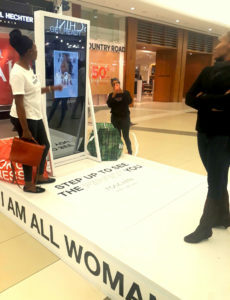 The use of in-store digital media is growing phenomenally worldwide and retailers in South Africa are taking notice. Over the past couple of years, more and more international fashion retail brands have entered the South African market and have impacted on the way in which high fashion brands are marketing and promoting their brands to customers in-store. 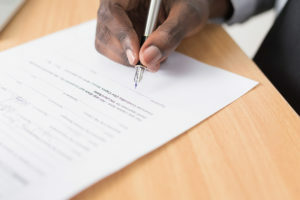 The importance of creating customer experiences in the retail environment is well-documented and is proving to influence consumer decision-making at the point of purchase, as well as helping to enforce branding and enriching the overall shopping experience. 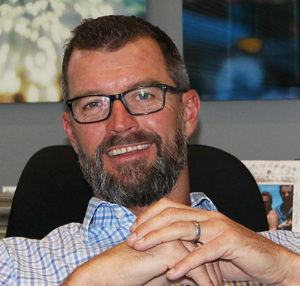 Chris Day, Managing Director of Moving Tactics, the leading South African digital signage solutions company, explains, “Today, more and more retailers are beginning to recognise and reap the benefits of using digital displays and bespoke in-store music as part of their branding and customer shopping experience. It allows shoppers to visually interact with the brand’s products or promotions whilst still in the store environment, where actual purchasing decisions can be made”. 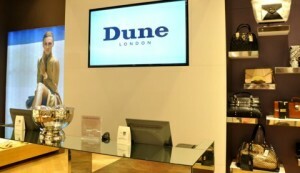 Working with local and international retail brands such as Edgars, Tom Tailor, Dune, Lipsy and Lucky Brand to implement in-store digital media, Moving Tactics has experienced the direct link between the application of in-store digital signage and the resulting growth in sales encountered by their clients. Research conducted by FGI (2012) on existing digital signage solutions installed by Moving Tactics, confirmed that 41% of shoppers were influenced to make a purchase in-store, based purely upon the advertising on in-store digital screens. 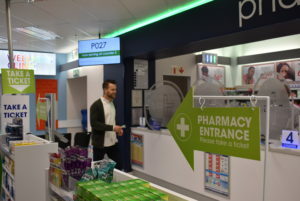 Customers are also favourable to this type of communication, as 92% of shoppers interviewed thought that it was a great idea to use screens in-store for customer communication. Kevin Bierman, Head of Digital Signage Solutions at Moving Tactics, explains, “Our clients are amazed at the impact that effective digital signage has on their sales figures and once this effect is experienced, retailers are very keen to continue rolling-out these platforms within their stores to not only benefit their brands, but also the experience offered to their customers”. Moving Tactics is the leading South African digital signage solutions company and has sole rights to the internationally acclaimed real-time visual communications software, X2O Media, within Africa. Moving Tactics develops customised digital signage technologies and is constantly creating innovative communication solutions.